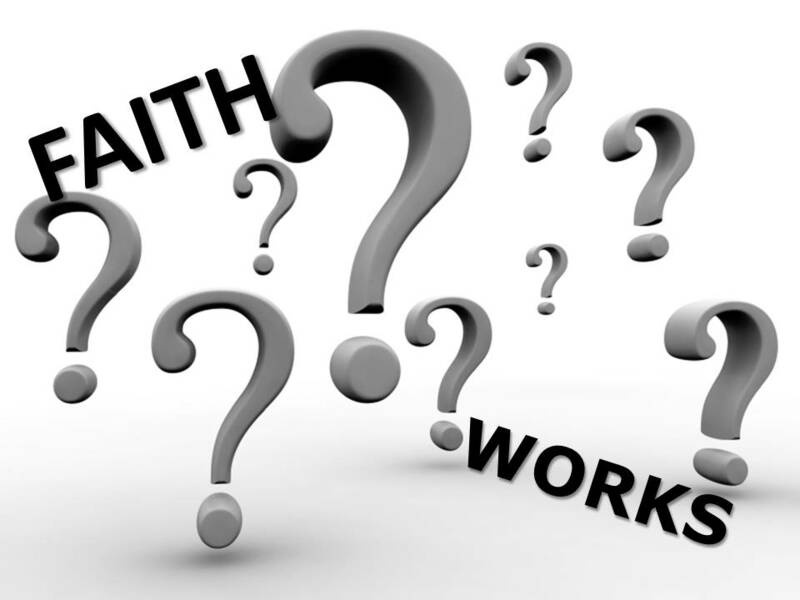 Is By Faith or Works That I Am Saved? Is it by faith or works that I am saved? I love the Apostle James and those who came alongside of me in my Christian walk that helped me to understand true saving faith. There seems to be a ton of people in the world who are banking on some type of event in their life that states that they have eternal life. Here are some of the things that I hear from others who say that they have eternal life. I prayed a prayer at church and the preacher told me that I was saved? Through all the conversions in the New Testament there is never an example of the sinners prayer. Don’t get me wrong, I have prayed that prayer in my days, and there are days when I am in touch with just how much of a sinner I am and how much I need Jesus. The “prayer” does not save us nor does it cause the new birth in us. What is does do, is help us to understand who we are and who God is and then as we plead for his mercy, God reconciles us unto himself. He does the saving not the prayer. I walk the aisle at a church service or crusade. Again, this is not what saves us. As a matter of speaking all of the following are just events that may happen at the time of our salvation but they do not save us. Remembering a time and a date that we said a prayer or walked the isle. Singing in the choir, reading the Bible, going to church, being a nice person to others, donating money to the cause of Christ. Although these are good things within themselves, they do not save us. I live a good life and I am a good person. Scripture says, that my righteousness is as filthy rags. If I could live a good enough life, or be a good enough person, then I have just one question: why did Jesus come to die for us then? Right, we could never be that good or have that good of a life. Perfection is what God requires, and none of us are able. It is not enough to say or profess that I have faith in God, Jesus, Spirit, especially if your life does not line up with what you say you believe. There seems to be a lot of confusion in the world today about what it takes for a person to know that he belongs to God. If you are hanging on to one of those events, what assurance do you have that you belong to Christ. Isn’t the Bible crystal clear that if I am born again, that the old way of life is passing away (process of putting off) and behold the new life has come (process of putting on Christ). It is like when I was a kid growing up and on Easter my mom would make sure that we got new clothes. As a kid, I did not appreciate getting the new clothes because getting the chocolate bunny, the jelly beans, and the kite was much more interesting than the new clothes. As I think about that now, Easter is all about the new clothes. I just did not get that as a kid, and quite frankly, my mom never taught us that the new clothes are what Jesus did for us while he hung on the cross at Calvary. Some folks think that all that I have to do is believe in Jesus. James says, “that the demons believe and they shutter”. His context is faith without good deeds, is dead faith and that true living faith requires action. Look at the calling of the disciples by Jesus. When he met fisherman, in order for their faith to be real, they had to drop their nets and leave them behind (old clothes) and follow Jesus (faith in action). The tax collector was to stop overtaxing the people (putting off the old) and follow Jesus (pay back – putting on the new).